Adam Devine will host the MTV Movie & TV Awards LIVE from the Shrine Auditorium in Los Angeles, CA. this Sunday, May 7th at 8/7c. The 26th edition of the awards—which honors Hollywood actors for their work on screen for the past year—will be honoring television for the first time since the start of the award shows. Below you will find all you need to know about the show and hold on to your popcorn because it looks like it will be a night to remember. Where To Watch the MTV & TV Awards? featuring performances by Zara Larsson, All Time Low and Bea Miller will broadcast live on MTV.com from 2-5 p.m.
Who Is Nominated for an MTV & TV Awards? The projects with the most nominations are Get Out, Beauty and the Beast, Hidden Figures, Logan, Rogue One: A Star Wars Story, The Edge of Seventeen, Moonlight, Stranger Things, Atlanta, Game of Thrones, This Is Us. Some celebrities that are nominated for their work on screen this past year are Zac Efron, Anna Kendrick, Emma Stone, Ryan Gosling and Emma Watson. The Fast and the Furious franchise will also be receiving the MTV Generation Award. Who Will Be Performing at The Show? Pitbull, J Balvin and Camila Cabello will be performing their collaboration “Hey Ma” for the first time, Big Sean will perform “Jump Out the Window” and Noah Cyrus will be singing “Stay Together”. How exciting! Who Is Presenting at the MTV Movie Awards? Allison Williams will be amongst the big night’s presenters. 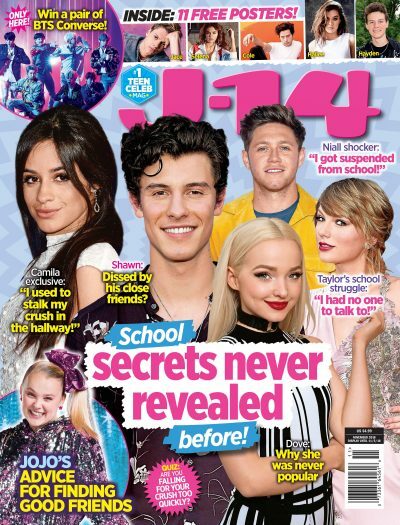 J-14 will be covering the big event from the red carpet so be sure to check back in with us, and don’t miss the show live this Sunday, may 7th at 8/7c.